← Oh, Canada: Sign Post Forest! 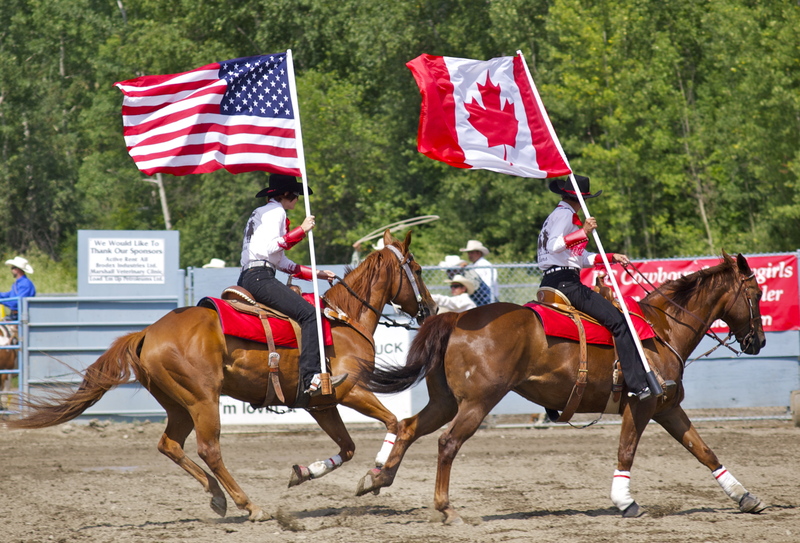 North American Patriotism, on the Hoof! 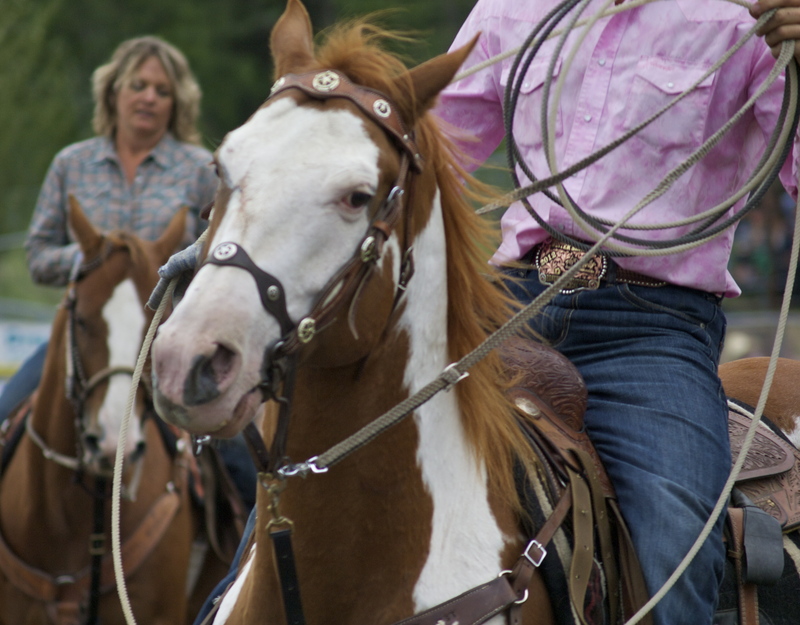 I grew up riding English, but nothing beguiles me more than cowboy culture. 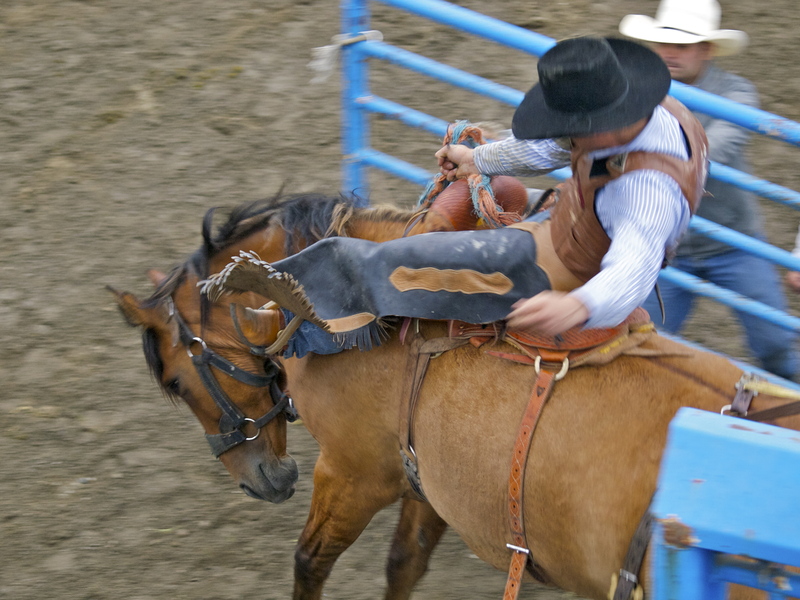 I love the hats, the buckles, the chaps, the spurs, the boots, the ropes, the true grit, the strong handshakes, and of course, the horses, the bulls, and the broncs. 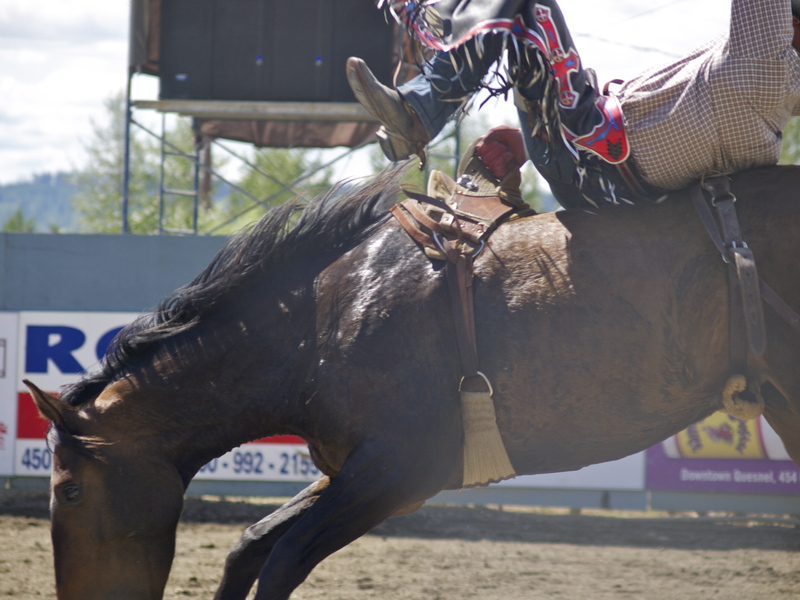 In fact, of all the things I love to photograph, rodeos might be my all time favorite. 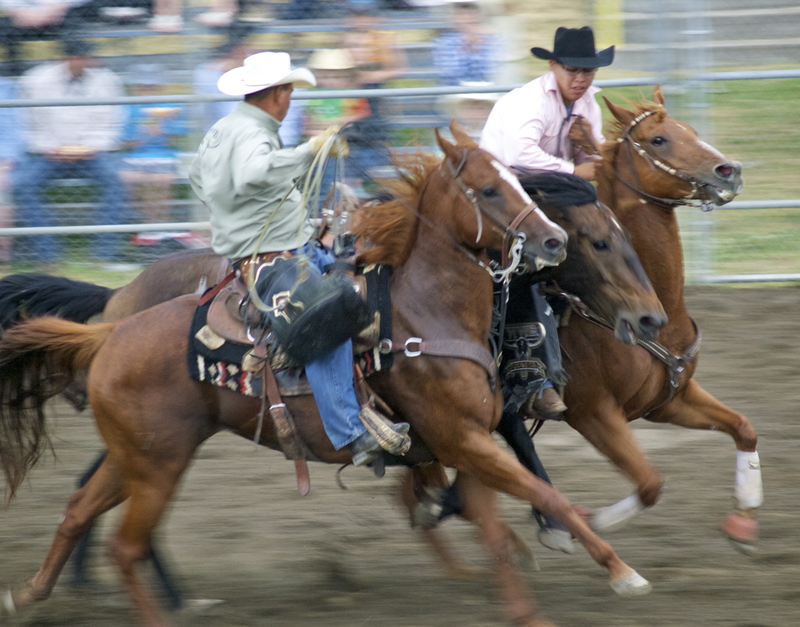 I’ve been to rodeos all over the US, and this past weekend I had the great pleasure of attending my first Canadian rodeo! 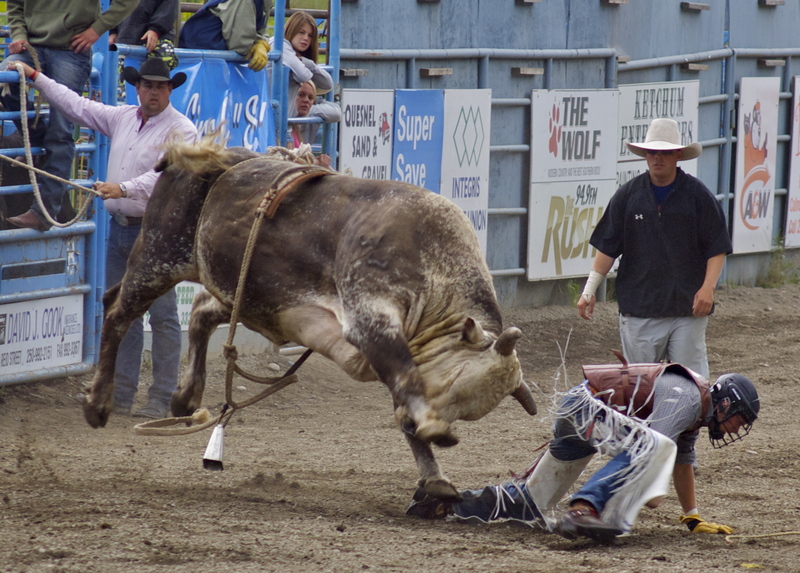 I rolled into Quesnel, British Columbia Friday afternoon, just in time to catch the first wave of bulls and broncs under the Friday Night Lights. 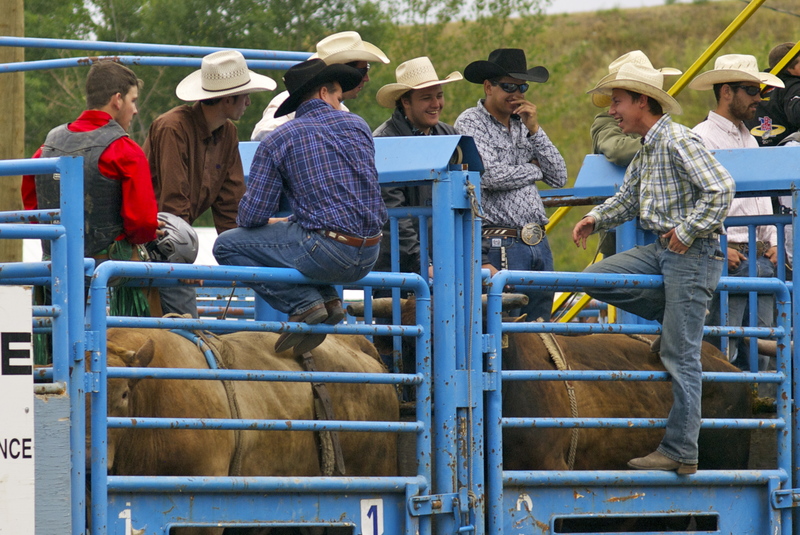 That first night, I met so many great people, all of whom were a little mystified as to why I’d come all the way from New Mexico to attend their small town rodeo, but everybody was friendly and welcoming. 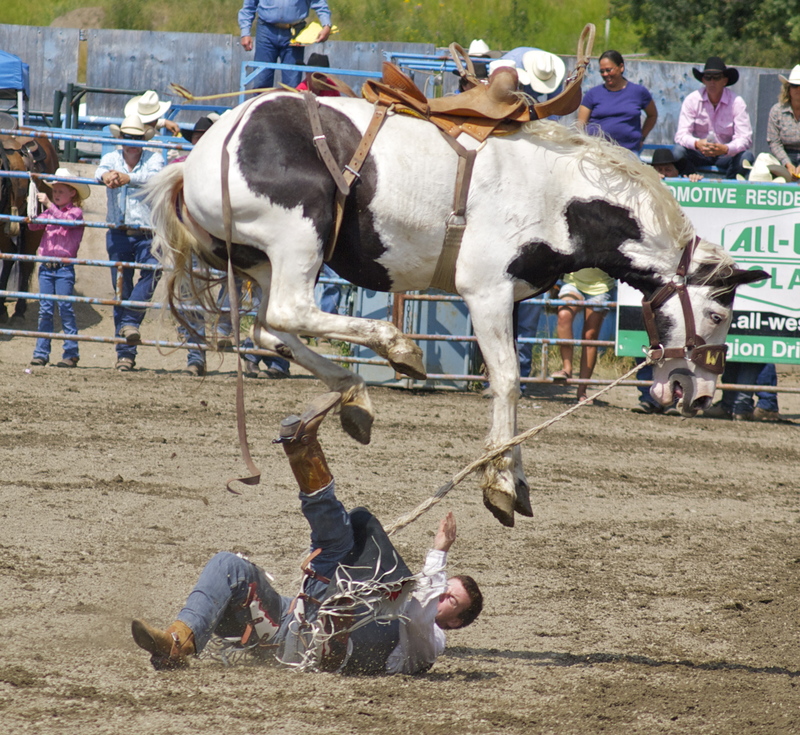 Runaway Bronc! Outriders are incredible horsemen. 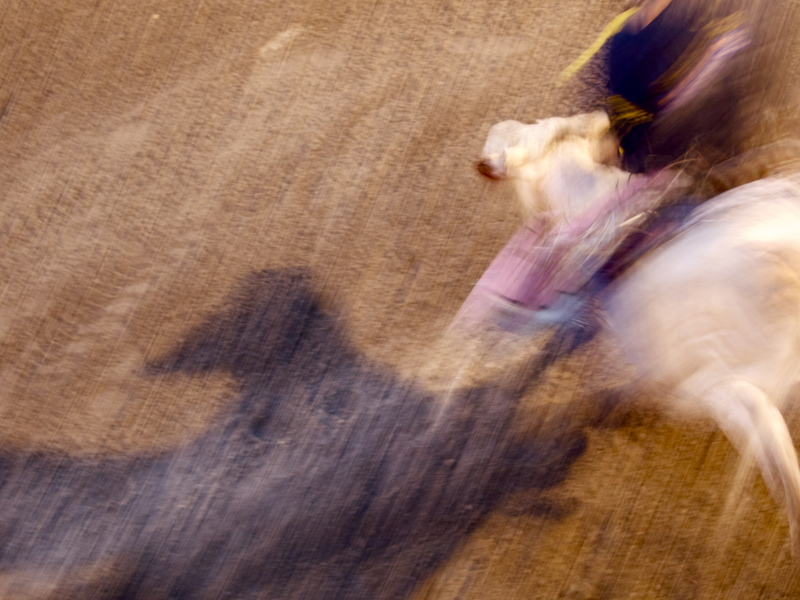 I wasn’t sure how the Friday night photos would turn out under such low light, but I love the blur! Some of these look like abstract paintings. Very cool. Wild Ride. 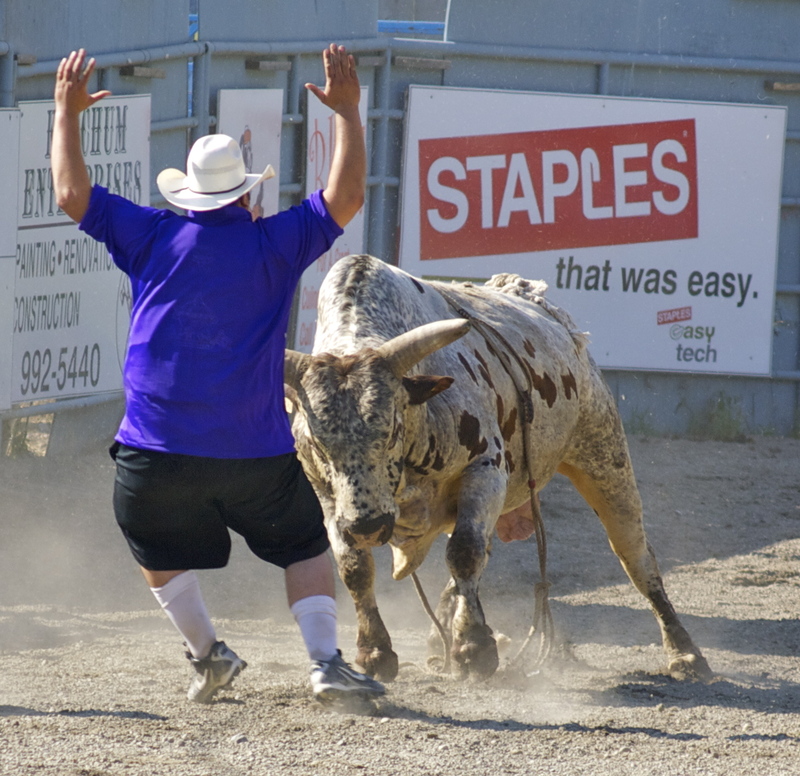 The bull fighter is helping to move the bull away from the chute. Don’t Look Back! He wasn’t hurt. Don’t Look Back, II. He also got away. Bullfighter Extraordinaire. This guy was incredible. He had no fear and despite some seriously close calls, he was unscathed all weekend. 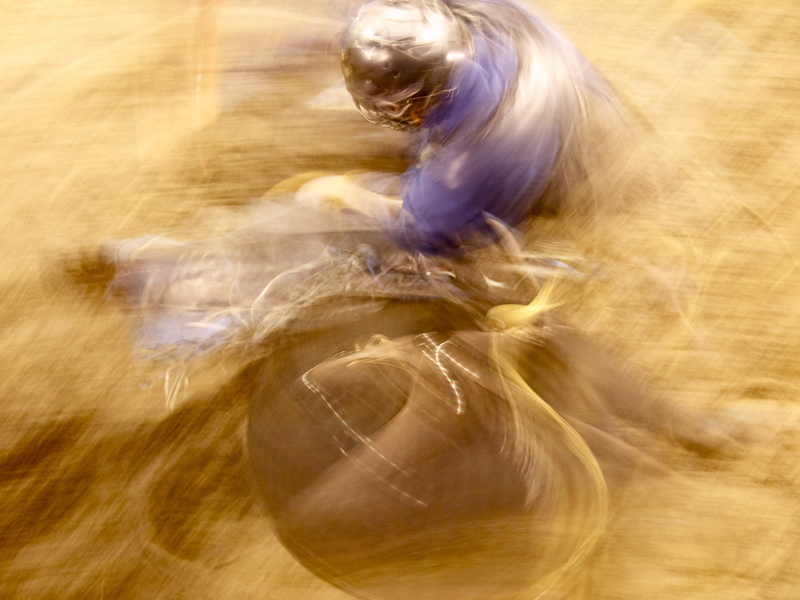 All rodeo participants are athletes, but nobody showed more verve this weekend than the bull fighters. Don’t call them rodeo clowns! 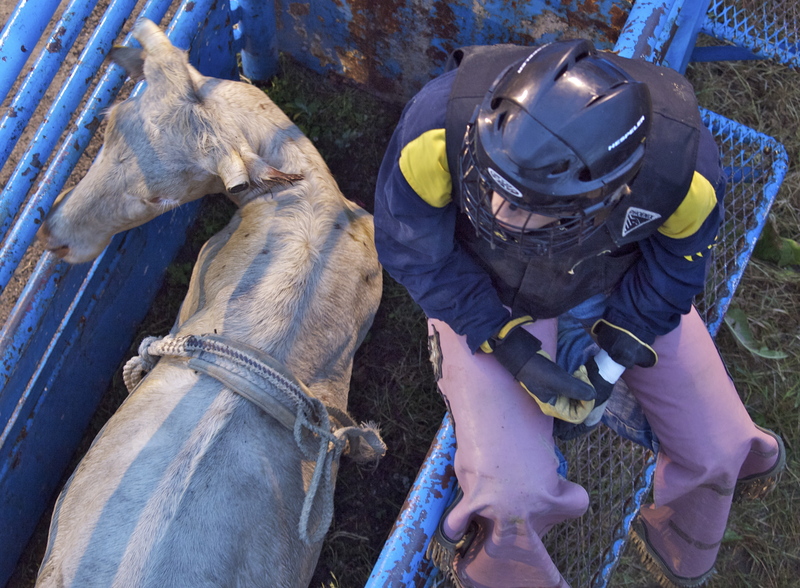 A bull fighter’s job to put themselves between the cowboy and the bull. There’s nothing funny about that! 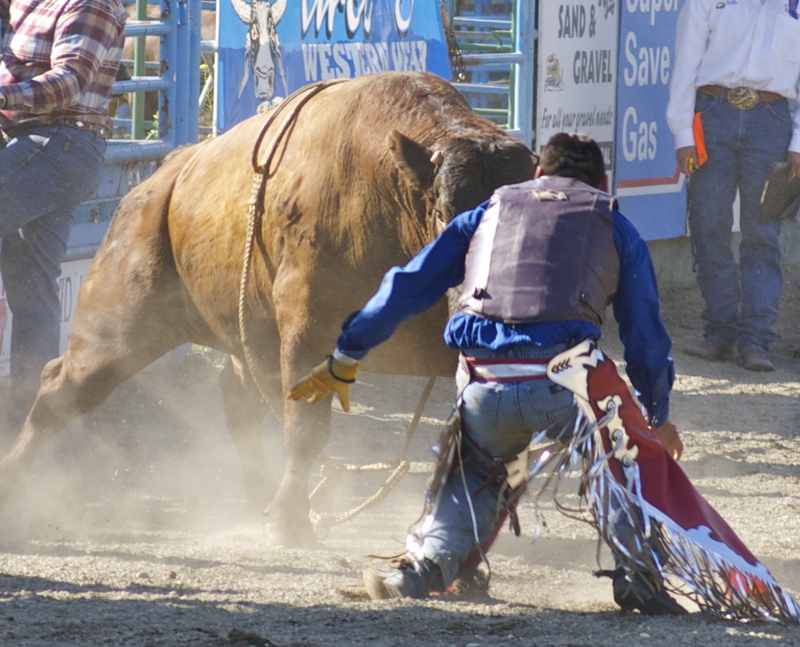 Bullfighter at Work. 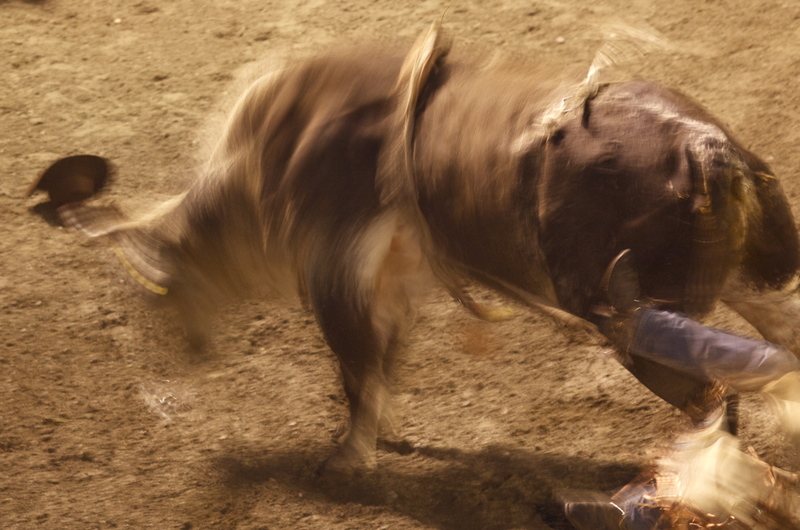 He might not look too nimble, but he danced around those bulls like a prizefighter! 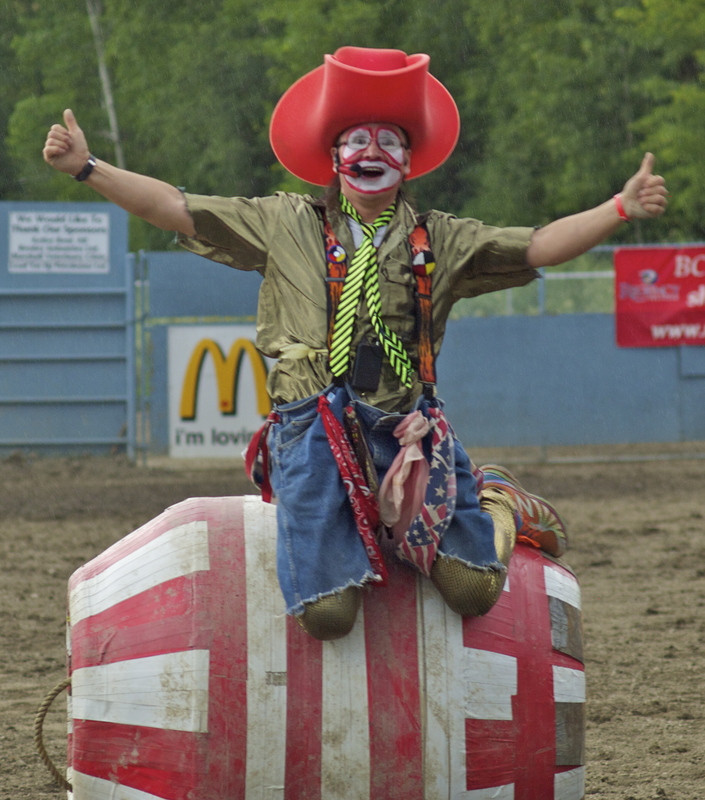 Parting Shot, Jayson Charters the rodeo clown. Now this guy is funny! 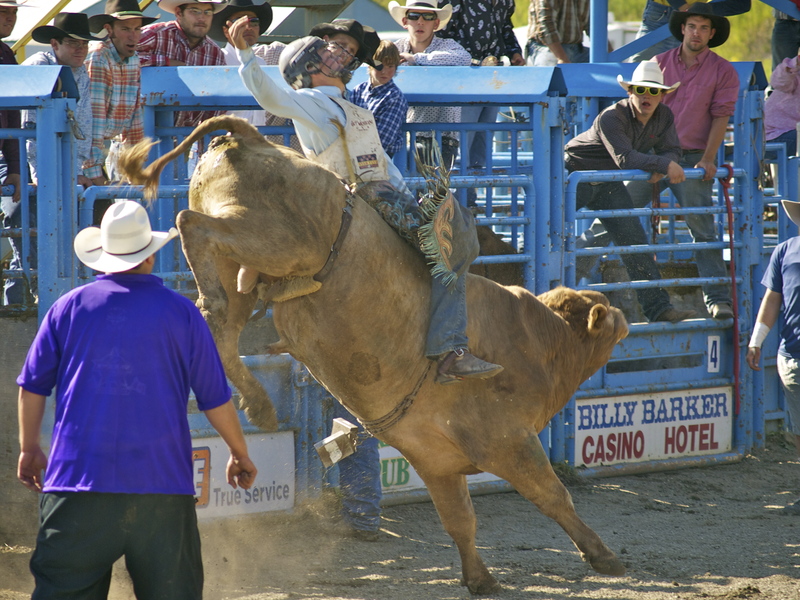 Check out my previous rodeo posts: Eureka Bulls & Broncs and Rodeo Americana for lots more wild and woolly rodeo photos! 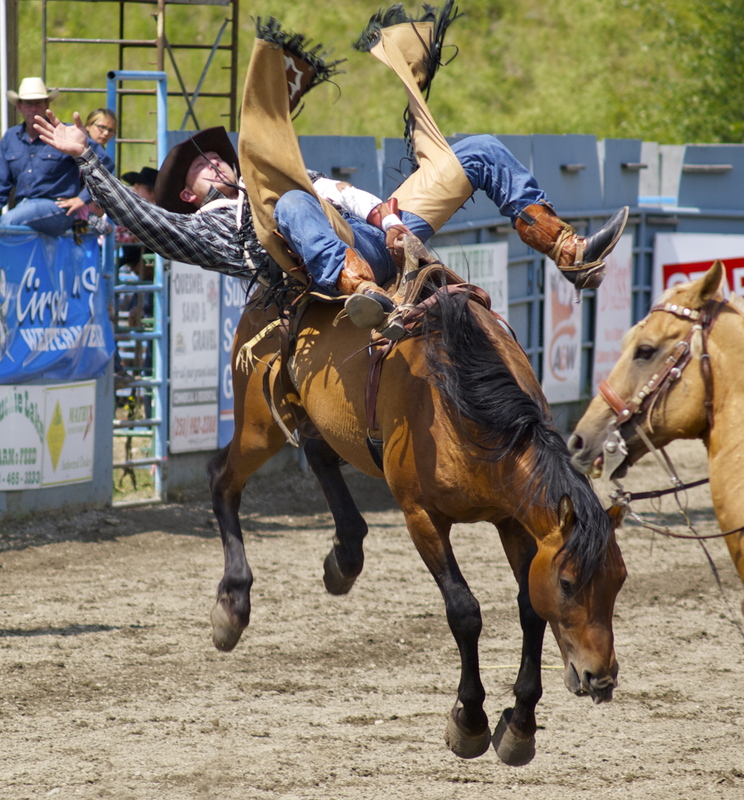 This entry was posted in Beyond the USA, Cowboys & Horses, Photography, Road tripping!. Bookmark the permalink. 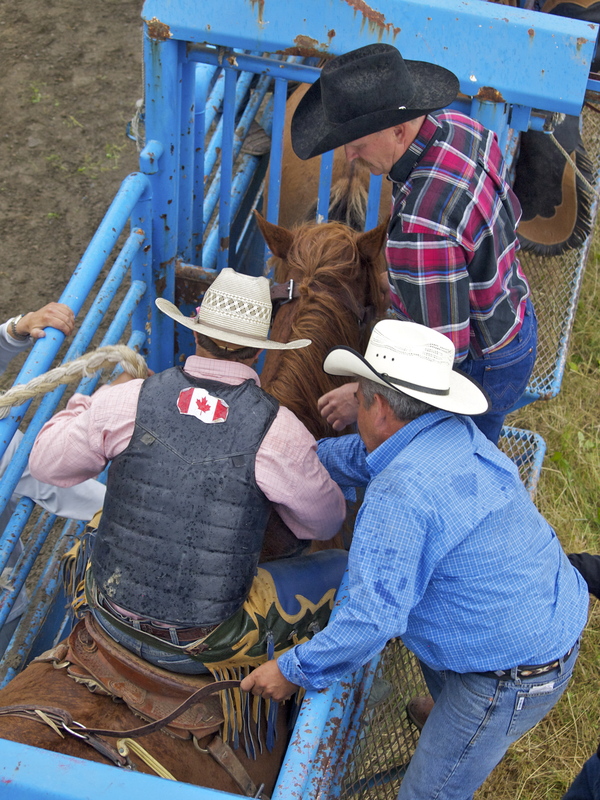 12 Responses to Canadian Bulls & Broncs! Man!! Those falls are really well timed. Nice action series. Just like being there! (except for the smells)! Great action shots! And even I become “nimble” when chased by a bull lol! Wonderful photos that really captured the action. Wow! You outdid yourself in these photos. The stop action and the long exposure pictures are just wonderful. You are very very talented and I sure enjoy looking and reading your blog. Thanks, can’t wait to see Alaska. 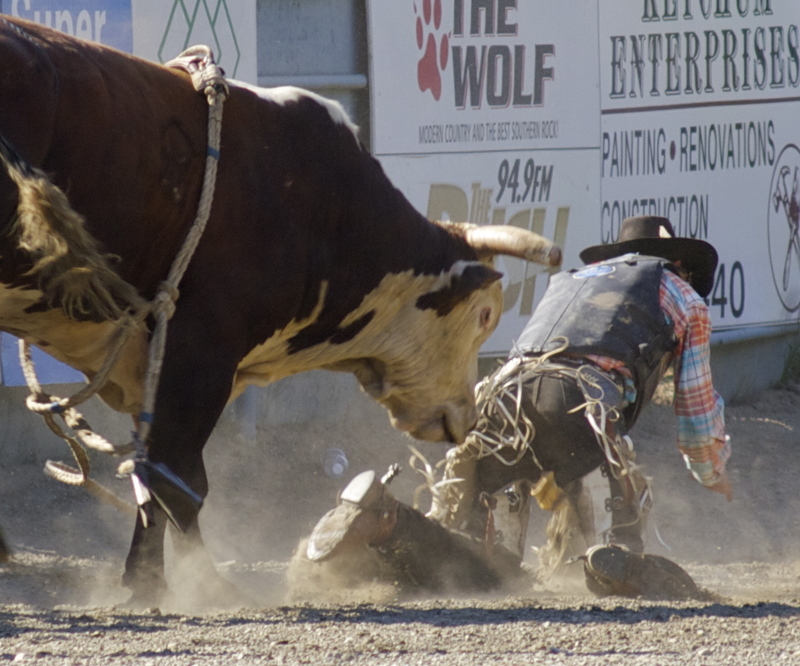 What makes the horses and bulls buck? Hi! 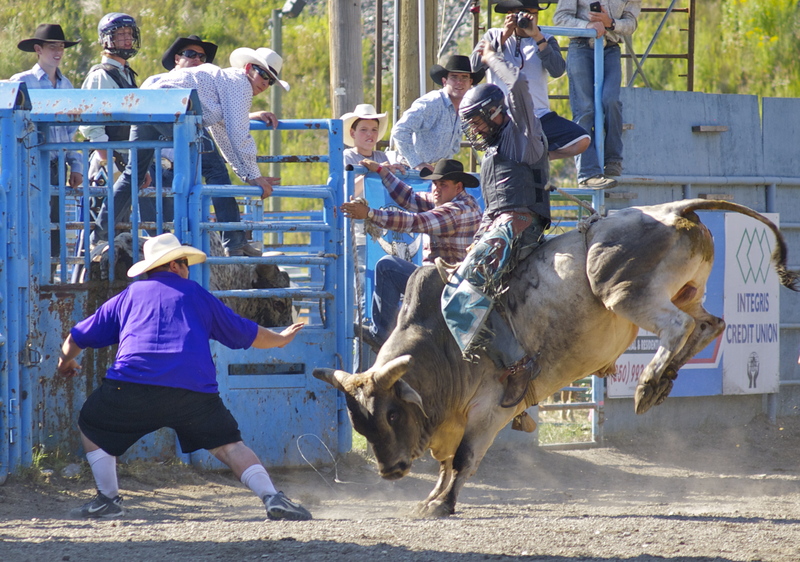 This might be a long shot but you wouldn’t happen to have more photos from this quesnel July 2010 rodeo in the bull riding?? From Friday night. Looking for a picture of my hubby.